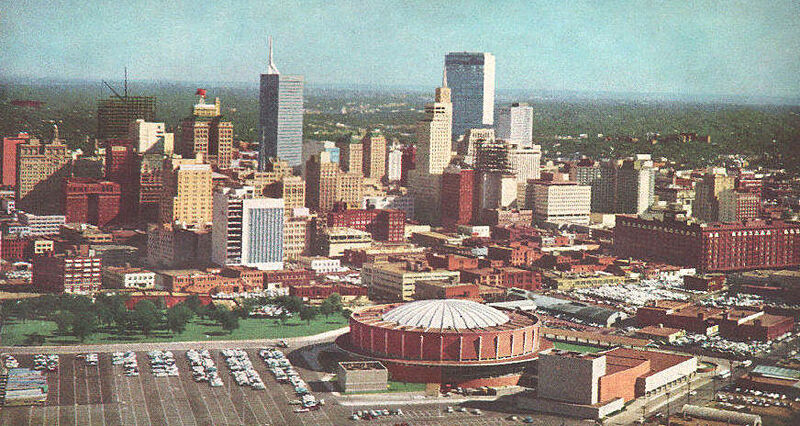 The booming Dallas skyline, captured by Squire Haskins on September 10, 1959, was used in a boosteriffic Chamber of Commerce-y statistics-filled ad. This Industrial Dallas, Inc. ad appeared in the January, 1960 issue of Fortune magazine. I found it on eBay, here. I think Not Bob is right. The Mayflower Building/Fidelity Union Tower (at Akard & Bryan) was under construction in 1959 and opened in the spring of 1960. The ad above is from the January, 1960 issue of Fortune magazine (I found the eBay link and I’ll post it in a minute). 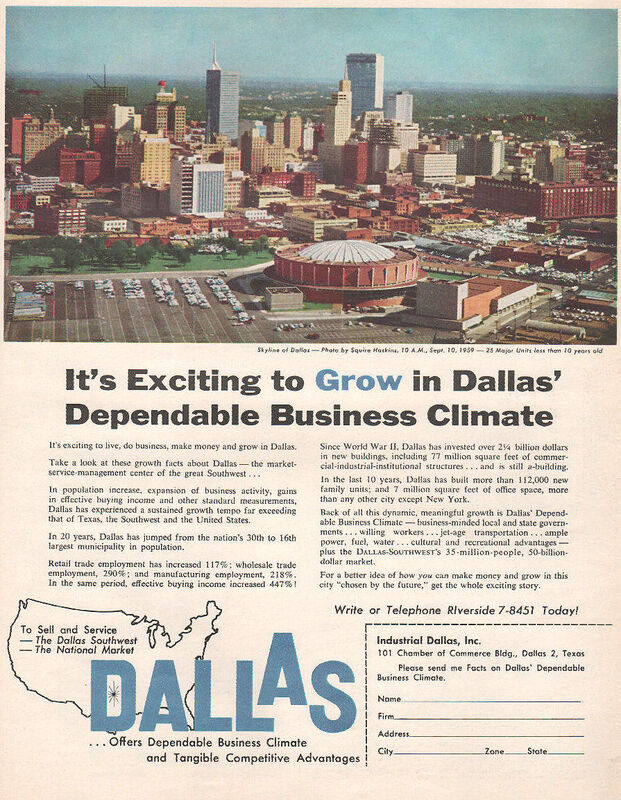 The “Dallas’ Dependable Business Climate” ad campaign began appearing nationally in October, 1959 (per Lynn Landrum’s column, DMN, Oct. 7, 1959). It’s interesting to note that there was such a GLUT of office space in early 1960 (several downtown buildings had been built or expanded in 1959) that downtown office space was going for a song as developers struggled to fill their shiny new towers with tenants.